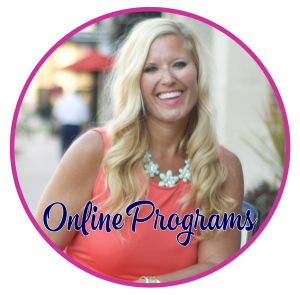 Our Programs, Products, and Services are owned and operated by Frannie Foltz, and Shine Wellness, LLC dba Shine with Frannie (“Company”, “we”, or “us”). The term “you” refers to any purchaser and/or user of any of our Programs, Products and/or Services. · You will not copy, share or steal our Programs, Products, Services, or Program Materials, or any parts of them. · You will not in any way use, copy, adapt or represent any of our Programs, Products, Services or Program Materials in any way as if they are yours or created by you. · You will not engage in improper and/or unauthorized use of our Programs, Products, Services and Program Materials. Improper and unauthorized use includes but is not limited to modifying, copying, reproducing, republishing, uploading, posting, transmitting, translating, selling, creating derivative works, exploiting, or distributing in any manner or medium (including by email or other electronic means) any Program Materials or any other information accessed or purchased through our Programs, Products or Services, or any other communications provided by us for your own personal use, business/commercial use or in any way that earns you money. · You will not duplicate, share, trade, sell, or otherwise distribute our Programs, Products, Services or Program Materials to any other person, for their personal use, business/commercial use or in any way that earns them money, whether it was known to you or not at the time that you shared the information that their intention was to use the Program Materials for their own personal use or business/commercial use. This means you cannot share or sell or any part of our Programs, Products and Services or Program Materials to someone else so they can copy and/or use them for their own personal use, business/commercial use or in any way that earns them money. You are the only one granted a limited license to use our Program, Product, Service, and Program Materials. · You will not violate our intellectual property rights, including copyright and trademark rights. Downloading, printing, or otherwise using our Programs, Products, Services or Program Materials for your own training purposes in no way gives you any copyright, trademark, intellectual property or ownership rights of our Program, Product, Service or Program Materials. · You will not reprint or republish any part of our Programs, Products, Services or Program Materials for publication or compilation into your own products, programs, services or program materials for your own personal use or business/commercial use or in any way that earns you money. · You will not use our Programs, Products, Services or Program Materials in a manner that constitutes an infringement of our rights or in a manner that has not been authorized by us through our prior written consent. Any request for written permission to use our Programs, Products, Services or Program Materials, in whole or in part, or any other intellectual property or property belonging to us (“Content”), should be made BEFORE you wish to use it by completing the “Contact Us” form on this Website, or by sending an e-mail to shinewithfrannie@gmail.com. 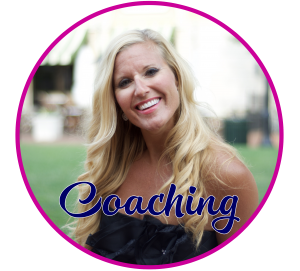 If you have a question or concern about your Programs, Products, Services, or Program Materials, you may send an e-mail to shinewithfrannie@gmail.com and we will do our best to reply to your question or concern promptly. You have the right to terminate your use of or participation in our Programs, Products or Services at any time by sending an e-mail to shinewithfrannie@gmail.com. It is hoped that should we ever have any differences, we could be able to work them out amiably through e-mail correspondence. However, should we be unable to seek resolution within a reasonable time, you agree now that that the only method of legal dispute resolution that will be used is binding arbitration before a single arbitrator, selected jointly, in accordance with the American Arbitration Association Rules. Prior to seeking arbitration, you must send an e-mail to me at shinewithfrannie@gmail.com and include all of your reasons for dissatisfaction with your Program. You understand and agree now that the only remedy that can be awarded to you through arbitration is full refund of your Payment made to date. No other actions or financial awards of consequential damages, or any other type of damages, may be granted to you. We both agree now that the decision of the arbitrator is final and binding, and may be entered as a judgment into any court having the appropriate jurisdiction. By purchasing our Programs, Products or Services you are agreeing to a modification of the statute of limitations such that any arbitration must be begun within one (1) year of the date of the date of your e-mail to me referenced above or you waive the right to seek dispute resolution by arbitration or to take any other legal action. You also agree that should arbitration take place, it will be held in Cuyahoga County in the State of Ohio where my business is located, and the prevailing party shall be entitled to all reasonable attorneys’ fees and all costs necessary to enforce the decision of the arbitrator. Passwords. To use certain features of our Programs, Products, Services, or Program Materials, you may be issued a group username and password or a unique individual username and password, which you will receive through your registration and/or purchase process. You may be able to change to username and/or password of your choosing. You are responsible for maintaining the confidentiality of the password and account, and are responsible for all activities (whether by you or by others) that occur under your password or account. You are not permitted to share your username and/or password with anyone. If we learn you have shared your username and/or password with another person, we reserve the right to immediately terminate your access to the Program, Product, Service, Program Materials, Website, private forum, Facebook group or any other related communication. It is your responsibility to protect your own password from disclosure to others. We cannot and will not be liable for any loss or damage arising from your failure to protect your password or account information. You are responsible for activities that take place using your password(s) and within your account. If you share your password(s) with anyone, they may be able to obtain access to your personal information at your own risk. You agree to notify us immediately of any unauthorized use of your password or account or any other breach of security, and to ensure that you exit from your account at the end of each session. 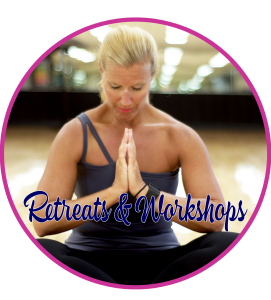 FREE empowerment tips, wellness news and special offers for events! "Beloved, I pray that in every way you may prosper and enjoy good health, as your soul also prospers."